We’re not sure what it is about reaching the age of 30 that fills people with such fear. Is it because you can no longer classify yourself as a 20-something? Is it a reminder of how quickly the years have gone before us and how quickly they’ll continue to pass by? We’ll leave the philosophical questions to the experts. At Hire Space, we receive plenty of requests from people seeking venues to celebrate this landmark occasion, and we’ve made things easier with our list of five top venues to celebrate your 30th birthday. It may be home to the London Eye and Aquarium but for us, the prized attraction at Southbank has got to be Namco Station: the city’s biggest entertainment centre. A favourite within the Namco Funscape family, this venue offers something for everyone. Have you always wanted to give bowling ago but were put off by the goofy, ill-fitting footwear provided? At Namco Station, whether it be Clogs or Doc Martens, you are free to bowl in your own shoes. Can’t hit a pin to save your life? Take out your frustrations with a ride in one of Europe’s fastest bumper cars. Then celebrate your inner pop-star by belting out a tune at karaoke room, Namoke. There’s an extensive song-list and you won’t have to worry about the punters downstairs choking on their chicken wings when you hit those high notes as the room is completely private. Fancy yourself as an international man of mystery? You’ll be well on your way to becoming the next ‘007’ after taking a journey through the spy mission-themed Laser Maze. A word of warning: while you’ll be able to enjoy a martini at the bar, there’s a BYO policy regarding femme fatales and mojo. If you’re looking to take your James Bond fantasy to the next level, then we’ve got the place for you. For luxurious Mayfair rooms and suites offering panoramic views over London's skyline, the five star Westbury Hotel is hard to beat. While we can’t guarantee you’ll be rubbing shoulders with 007, it would come as no surprise to us if you happened to spot a Brosnan, Moore, Connery or even Lazenby enjoying a quiet drink in the opulent surrounds of the hotel’s Lounge and Polo bars. For a celebration extending beyond a few quiet cocktails, check out The Westbury’s private facilities. Events at the Westbury promise fine service and style, in a beautiful setting with a choice of 11 private event rooms ranging in size from 10 up to 220 guests seated, and up to 250 for standing receptions. Small, large or anywhere in between, The Westbury has got you covered. Impressing one’s friends is always high on the list of priorities when organising a birthday party and when marking the big 3 and 0, you’ve got to find a place that’s cool and trendy. Fortunately, it doesn’t come much trendier than Shoreditch and it certainly doesn’t come any cooler than the rooftop bar at Golden Bee. The team at Golden Bee love parties and are committed to making your 30th birthday as memorable as possible. Want a special drink served? Fancy canapés? Fire bartenders? Magicians? Whatever you want, it’s yours when you ‘Private Hire’ the venue! 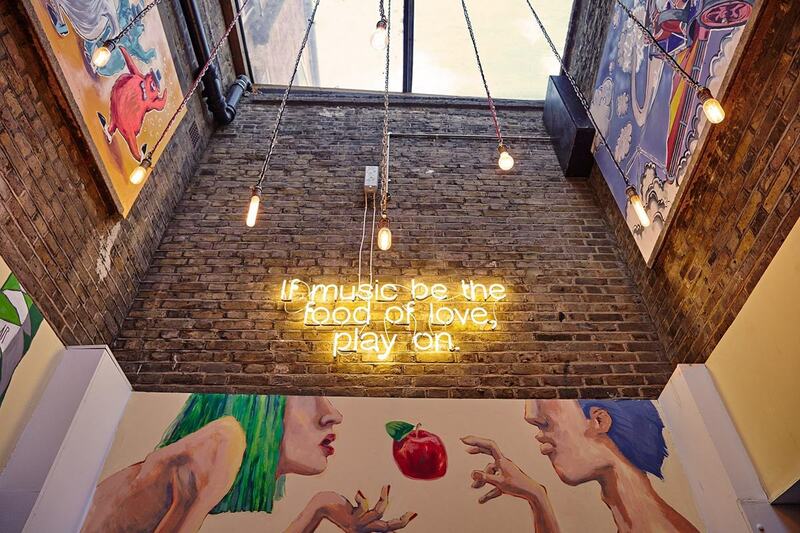 Golden Bee’s roof terrace is the ultimate in cool, relaxed entertaining and if you feel like combining this with some first-floor partying, then why not hire out the entire venue? And if you like rooftop bars in general, have a look at our guide to some of London's best. With a diverse event portfolio that includes creative workshops, pop-up restaurants, fashion launches and corporate events, you can rest assured that the team at The Arch Gallery are equally committed to providing you with the ultimate 30th birthday experience. This attitude is reflected in their flexible catering options, where you can either entrust the venue with organising food, drinks and staff or bring your own. 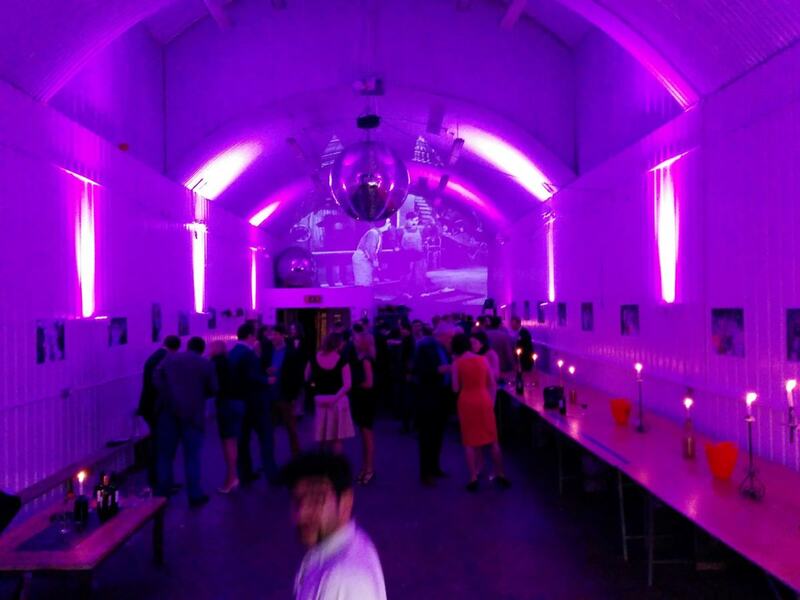 If you’re looking for somewhere a little different to host your 30th birthday party, then look no further than The Arch Gallery - just get in touch here to book. Bringing together a wonderful vintage upstairs bar and the über cool, vaulted brick ceilings of its downstairs bar space, the Apples and Pears Cocktail Bar provides a tremendous venue to celebrate your 30th birthday. Located on Osborn Street, just off Brick Lane, this venue holds a special spot on the East End bar scene. Catering can be tailor made to suit requirements, ranging from canapé receptions to buffets. The team at Apples and Pears offers both single bar and whole venue hire, meaning you can make your birthday celebrations as small or as grand as you see fit. A little tired from all the attention that comes with being 30? Why not sneak away to a corner of their secret beer garden for a few minutes of respite? From bumper cars and karaoke to fancy drinks, gallery space and luxurious dining, Hire Space has got the venue for all tastes. Looking to celebrate a 30th birthday party or any other type of big event? Make sure you check the Hire Space venue pages out today.